The Flash Preview: Premeires on The CW This Fall. “Young Barry Allen’s life stopped the minute his mother was murdered. The true killer never found, its mystery obsessed Barry, driving him to become a forensic scientist. Consumed by his work, he spent his life chained to his desk, solving every case that flew across it. But when a freak lightning bolt hits a nearby shelf in his lab, Barry receives super-speed, becoming the Flash. Now, he’ll race up buildings, across oceans, and around the world to get his man — while getting introduced to a world so much bigger than his old life of microscopes and cold cases. Barry Allen/The Flash will be portrayed by Grant Gustin, who has most famously played Campbell Price in the 2013 reboot of “90210” as well as Sebastian Smythe in “Glee.”Huge nerd/fangasm I’m having because the new Flash will be side-by-side with the old Flash: John Wesley Shipp who took the mantle of the fastest man alive and the role of Barry Allen in the 1990’s live action adaptation. 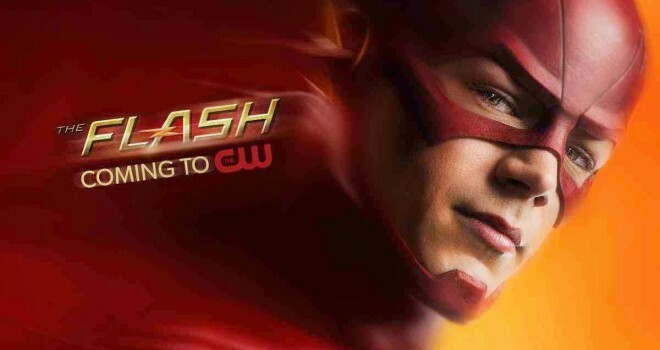 “The Flash” will debut on this coming October on Tuesdays at 8pm on The CW.